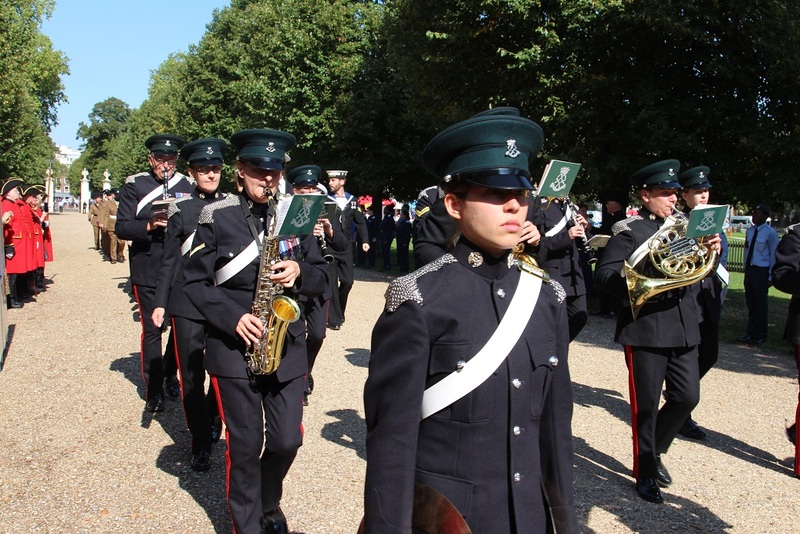 On 1 September, GL RFCA and Royal Hospital Chelsea (RHC) held a commemorative event to honour the involvement of the London units' last 100 days of the First World War. 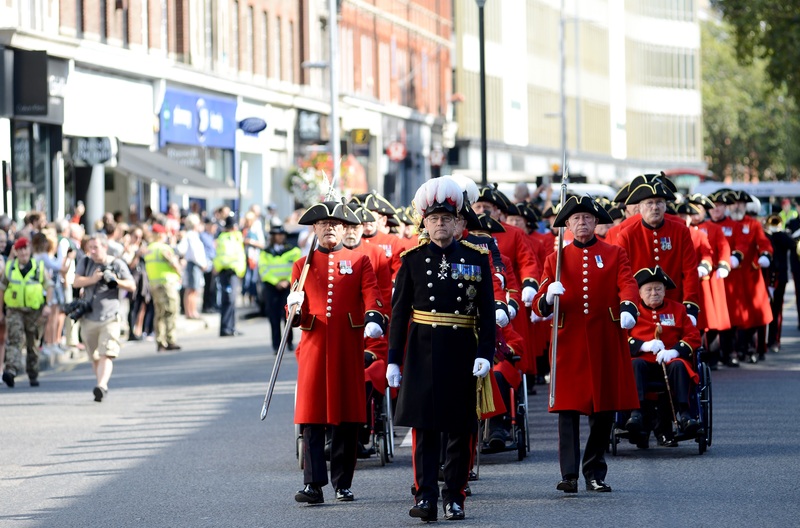 The day began with a parade down the famous King's Road where the Chelsea Pensioners exercised their Freedom of the Royal Borough of Kensington and Chelsea. 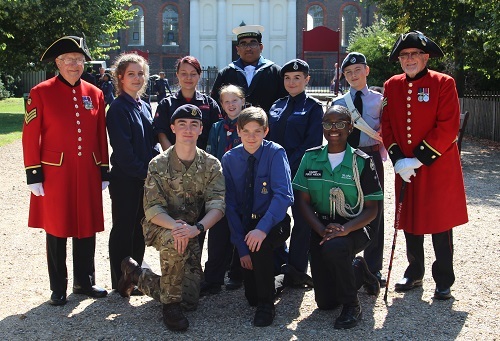 They were joined by representatives of London's Maritime Reserves, The Royal Yeomanry, The London Regiment, 600 Squadron RAuxAF and the First Aid Nursing Yeomanry. Members of the public lined the route along the King's Road to show their support. "We want to commemorate the valiant actions of those brave men and women from London in the First World War." Colonel Hugh Purcell, GL RFCA Chief Executive. "Through the eyes of youth to the future"
Following the Parade, Burton Court played host to 500 uniformed young people from the member organisations of YOU London (Youth Organisations in Uniform), each organisation displayed drills, skills and learning activities reflecting on the lessons of WW1. Guests and members of the general public had the opportunity to learn more about each organisation and take part in fun, family friendly actvities.